Create maps and lists that can be sorted by distance or title, filtered by category, or searched on by location or text. Create and edit locations easily by searching for them in the editor. Most of the details will be completed automatically using Google’s Places search. 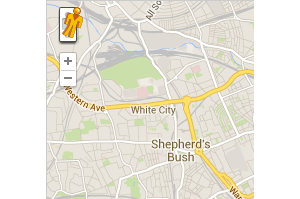 Drag and drop the pin or click on the map to move the marker to exactly where you want it. Choose from any of the hundreds of pre-installed icons, or copy your own into the pins folder to add more. 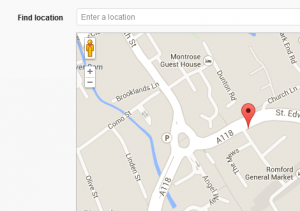 Get directions automatically using your current location, or search for a starting point. Drag the suggested directions to pick a better route, or add waypoints in. Prefect for maps with large numbers of locations. 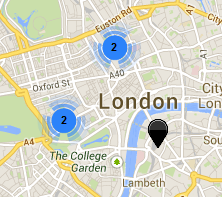 Clustered markers help make map navigation easier, and also makes the map quicker and more reactive. 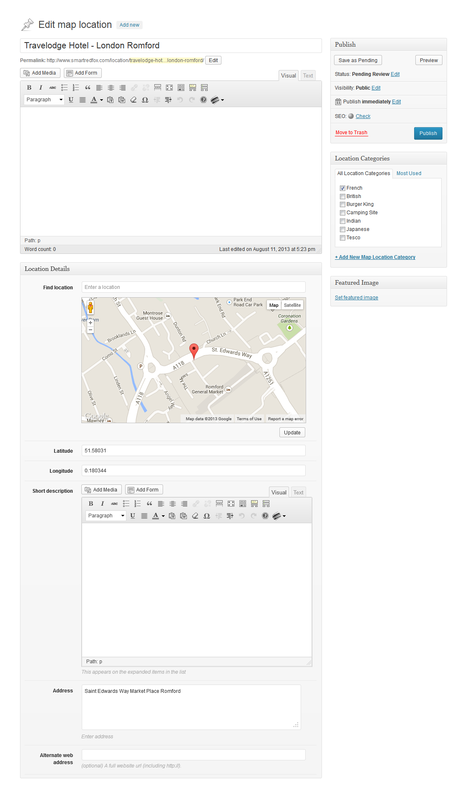 Insert a map into any post or page using the shortcode wizard. The wizard guides you through each step letting you pick exactly how you want your map to appear. Let your users view a location in street view without leaving the page. You can add additional fields like telephone, opening hours, etc. to the editor with the built in filter hook, and then display them with the display filter hook. Full details on how to do this can be found in the FAQ’s. Creates searchable, sortable, filterable lists in seconds. Flexible width design – works well in Responsive themes and designs. No API keys, no coding, just works out of the box. 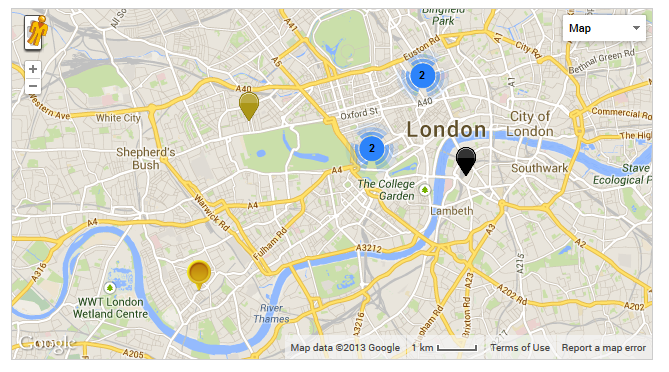 Create categorised locations easily with the simple Location editor. Per category markers – set a different marker for each location category from the hundreds built in. Custom markers – Add your own markers, or choose one of the hundreds already included. Automatically find locations by searching. Auto-zooms to show all locations or manually set a starting view. Optional in page directions (with print option). Built in Street View support. 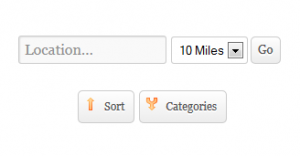 Sort by distance with Geo Location and location search. 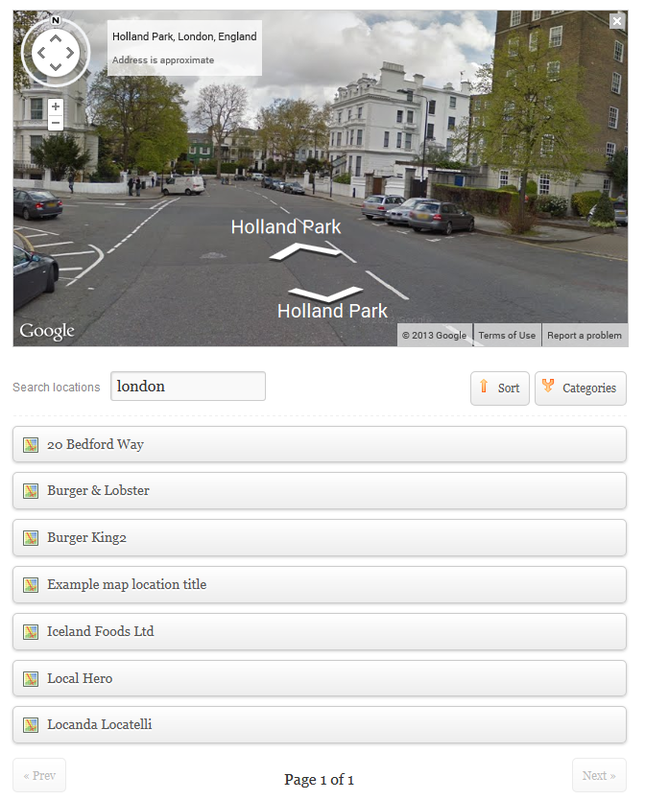 Search for all locations in range with the advanced search function. Add a search form on any page. Distances can be shown in KM or Miles (configurable in the settings). Multiple maps on a single page. Featured images in locations and info windows. Manually specify locations using Latitude/Longitude. Combo search allows users to search by text and location. Map only or list only options. Put the map above, to the right, or the left of the list with one easy to set option. 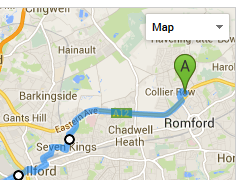 Easy to use – Just click the Map List Pro button in the editor to set up and insert a list and map. Auto updating lists – Lists will automatically update when locations are added. Fully customisable – Almost all features can be switched off/on. Lots of styles – 25 different looks ready to use. All the features you could want, and 5 Star support from a CodeCanyon top 75 author bundled in. The text only search box searches the title, short description, and categories. The location search lets you look for all locations within a certain distance of a certain place. Search for "knightsbridge" or "spitalfields". Search for all locations within a certain distance that also have a certain word in their title, description, or category. A map that asks the user for their location and sort all of the results by distance away. This map is using the left style option. No map. Just a searchable, sortable. filterable list of locations..
Just the map with clickable markers. - Easy to use plugins. - Thousands of happy customers. - Author rating of 4.65 out of 5. "This plugin has really helped us meet some complex client needs and helped create some robust interactive map features. Really great plugin and very helpful developer!" "Thank you so much for the plugin, i love it!" "To anyone considering items from SmartRedFox – The plugins are stable, easily configurable, simple to use (even for non-tech savvy clients), and the support is some of the best I’ve encountered in my 6 years signed up here." "Great plugin. After struggling to find something that looks good and has enough functionality...this is it! I just jumped ship from another plugin download manger…bad english support…long development cycle…not very responsive to feature requests, and convoluted templates." "Love the plugin! It’s working perfectly for me! :)"
"Thanks so much for your wonderful work! Its a breeze to use and your support has been top notch."